ProForm have a wealth of experience at producing mid-priced machines that usually boast an impressive array of features, so at around £500, the 320 ZLE is dropped into very familiar territory. That said, it’s a highly competitive marketplace and even ProForm themselves have some impressive offerings at around this price point. We were eager to see what this new arrival brings to the table…. 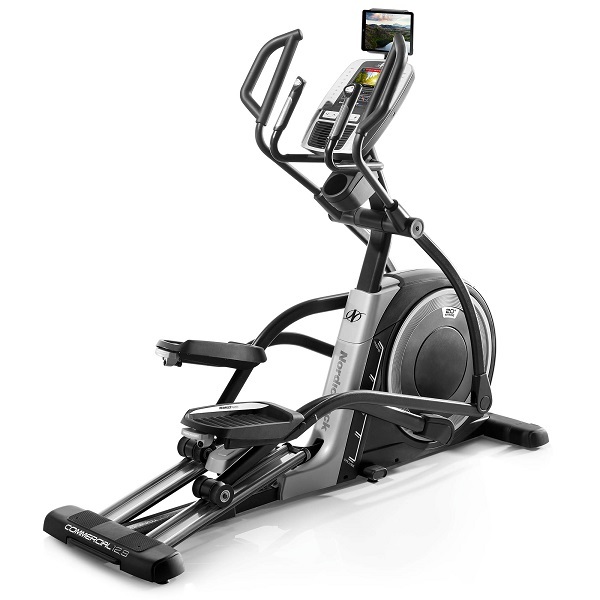 It’s often easy to distinguish a ProForm elliptical by the rather unique design. The 320 ZLE however, shares an ambiguous resemblance to many other brands of rear driven machines. That’s not to say that it’s not attractive – the sleek lines and silver bodywork are visually appealing, but often ProForm machines may have a folding design or incline ramp that gives rise to a more unique shape so it’s left us wondering what, if any, innovations the 320 ZLE was hiding? Firstly, tucked away at the rear of the machine is an 8 Kg Flywheel. The weight itself is average but it offers a nice smooth movement that was a pleasure to use. 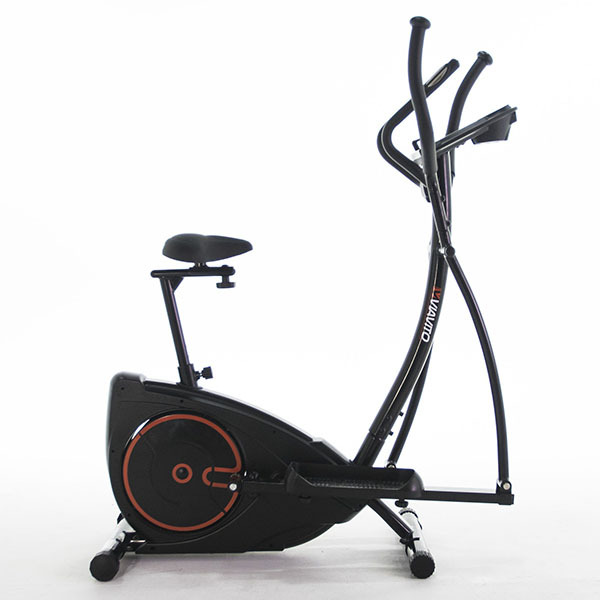 The stride length is 18 inches so this machine should prove comfortable for a variety of different users with a maximum capacity of 17 and a half stone (113 kg). However, this maximum user weight is a very conservative estimate (although it must be strictly adhered to!) being as our own reviewer (Charlie Rawes) exceeded that weight during testing and the 320 ZLE coped admirably, displaying good, chunky build quality. 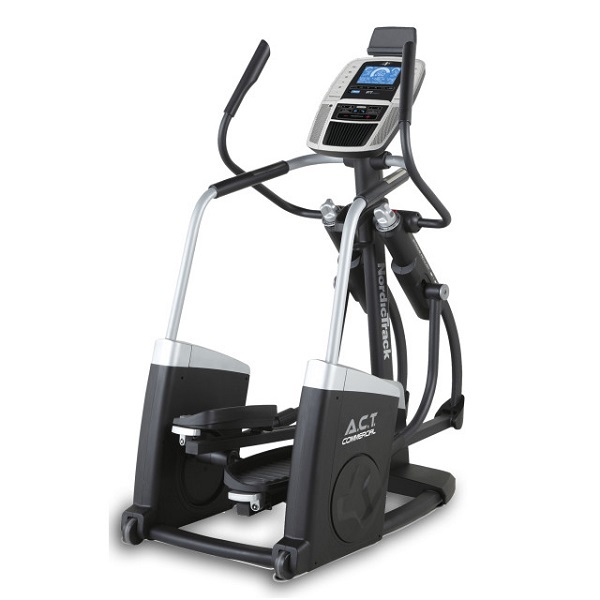 The machine also has plenty of resistance, with 16 levels that should prove challenging to most beginners and even intermediate users. As far as in-built programs go, there is a good selection available. 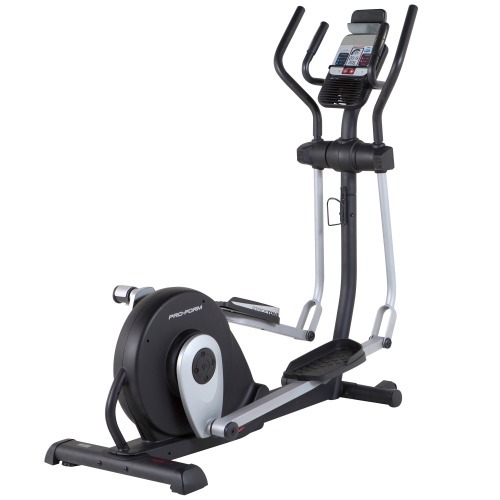 ProForm have stuck to their usual approach of dividing the workouts into ‘Weight-loss’ and ‘Performance’ sessions. You have 8 of each giving you a total of 16 preset courses to choose from. That said, the course profiles are nice and varied and regardless of whether they are in the weight loss or performance category, they should all be considered effective for either purpose. 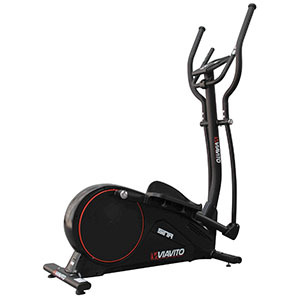 During the workouts, the machine keeps you aware of approaching changes in resistance by ‘beeping’ and the new resistance level appears as well as the target RPM pace that you should keep up with. In addition to the Pre-set programs, we liked the manual mode which appears when you first turn on the console. The quarter mile track appearing in the dot matrix is engaging and motivating for getting those laps in! 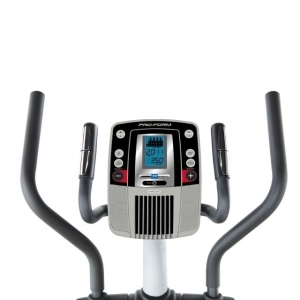 There are pulse grip sensors on the static handles however there is no inbuilt receiver for wireless readings and therefore the machine does not feature any heart rate controlled programs. Another slight disappointment came from was the inbuilt cooling fan. It has a dual setting, although it’s only on ‘high’ that you can feel a slight breeze. 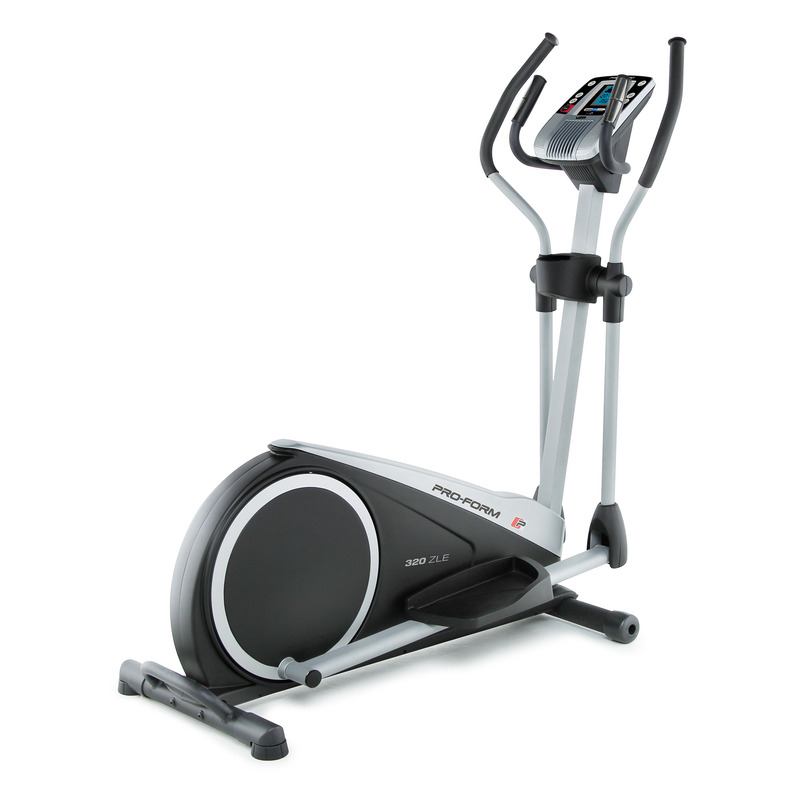 Our grumbles are not so much directed at the fan’s efficiency (rarely do fitness machines blow out much air due to their size) but rather, we were just slightly disappointed that more space was devoted to a 4” fan than was allocated to the more important feature of screen display! Anyway, we certainly don’t begrudge the room taken up by the inbuilt speakers. 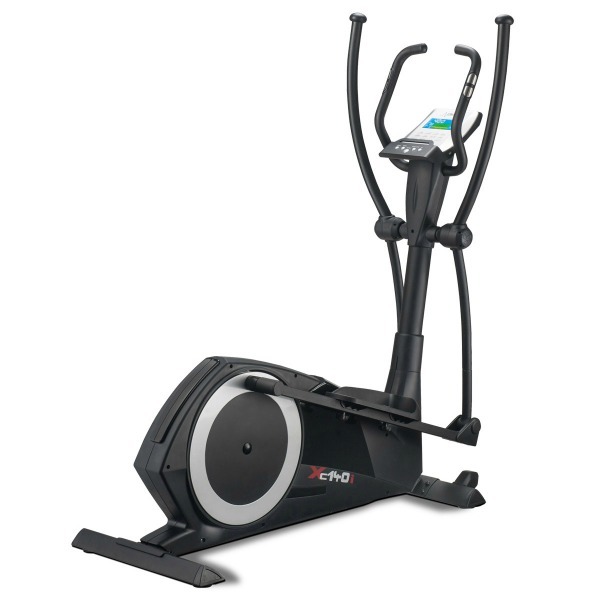 Not only do they do the essential job of giving us the Personal Trainer guidance through iFit card sessions, but they also produced a surprisingly clear and tight sound when connected to an iPod or MP3. There are some other welcome features included too. There’s a convenient bottle holder or accessory storage compartment within easy reach on the console mast. Down at ground level are levelling pads on the rear stabiliser as well as a useful welded D-shaped handle allowing you to lift the rear end and wheel the machine along on the 3” rollers that double as end covers for the front stabiliser. So what do we think overall? Well we’d certainly describe it as ‘fine’ in the sense that it does everything fairly well, but we just can’t really get too excited about the 320 ZLE! Perhaps we have just grown to expect a bit more innovation from ProForm? 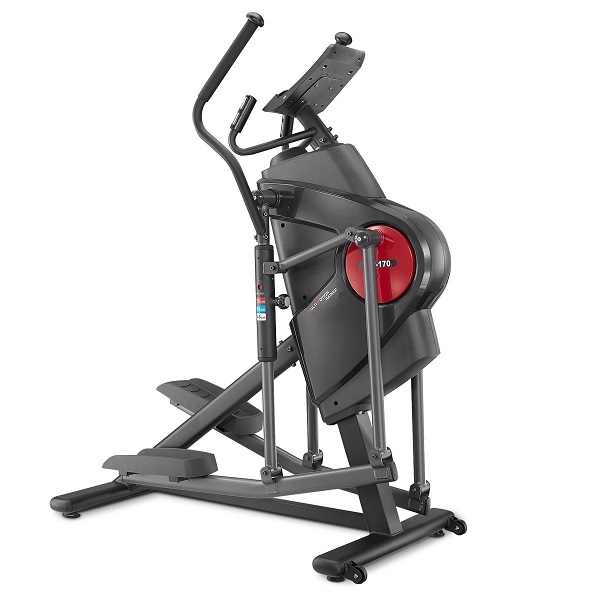 Sure if you make some through comparisons then it may possibly have an extra kilo of flywheel weight than some similarly priced models… maybe it’s got a few more resistance levels than others too, but we’d be struggling to find any unique selling points that aren’t common place on many other models. 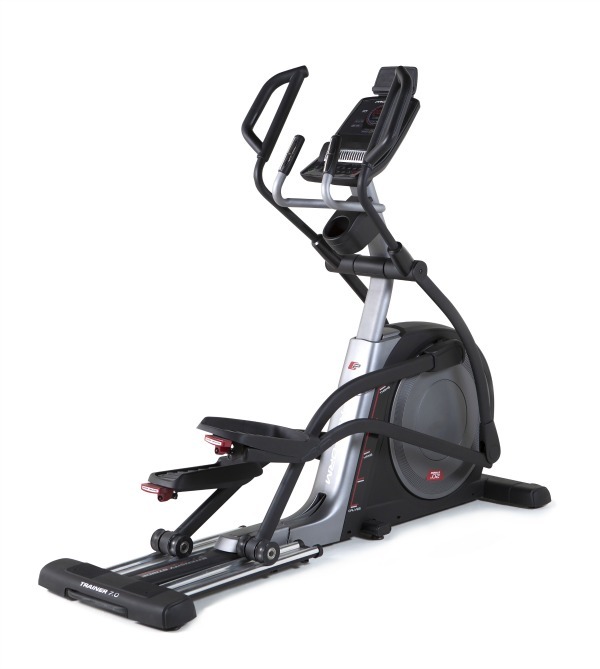 ProForm do a good range of elliptical cross trainers, some that fold, some that incline, most with iFit card compatibility… this one just doesn’t really stand out from the rest in any way. The Proform 320 ZLE is not currently available from any retailers we're aware of in the UK. 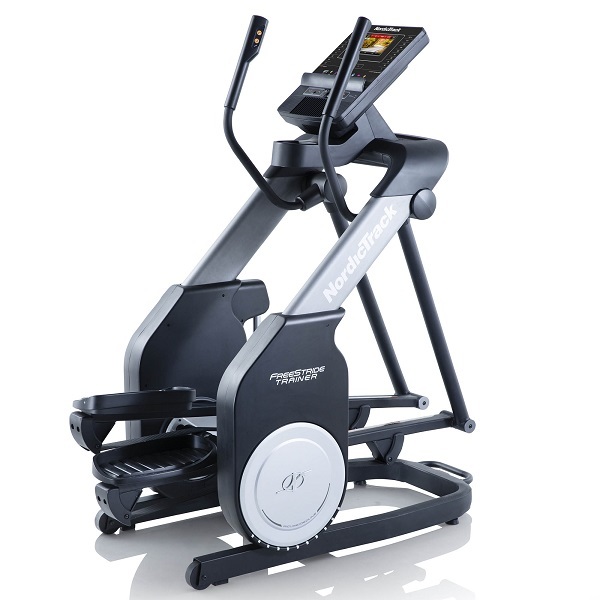 The feature that stands out the most on this cross trainer is the long, 18" stride length on a compact sized machine. The ProForm 320 ZLE puts in an admirable performance in our tests as a good all rounder and with a price tag of sub £500, it's pretty decent value.